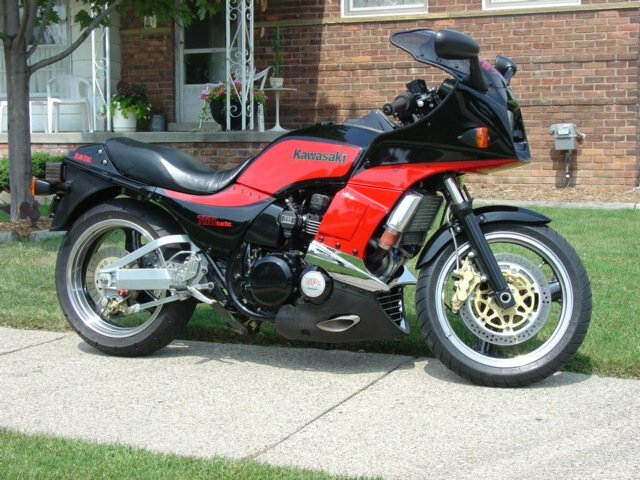 Paul Jugowicz sent in these pictures of his GPz750 Turbo. Obvious changes include an intercooler and removal of the exhaust system in favour of a dump pipe. 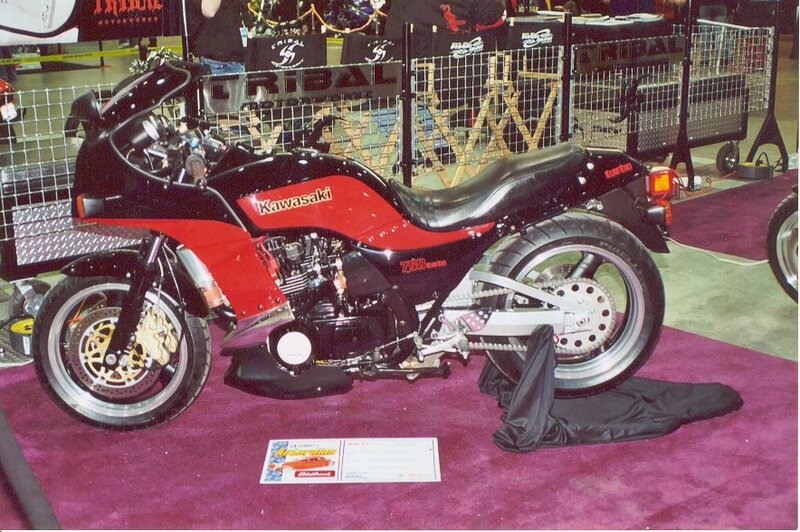 The picture is of the bike at the Detriot Autorama in 2004. The bike won 2nd place, edged out only by a virtually brand new Aprilla. Not bad for a 20 year old mount. 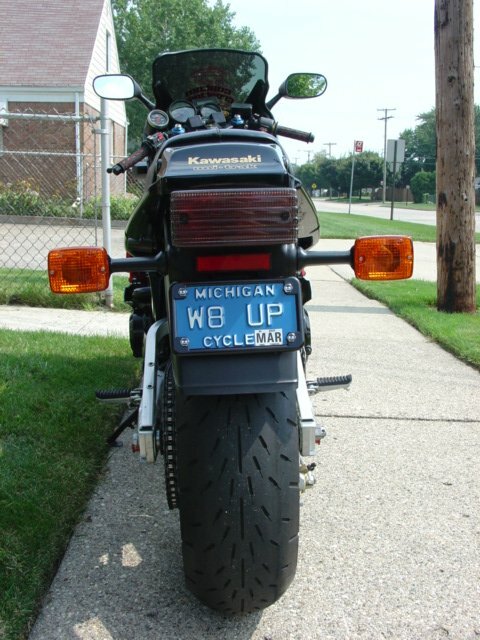 With the picture he sent in there was a long list of mods done to the bike.